When reviewing this privacy statement you should be familiar with the terms “personally identifiable information” and “aggregate information.” Personally identifiable information is any information that can be used to identify, contact, or locate you as an individual. Common examples of personally identifiable information are your name and email address. Aggregate information is composite information that groups information about you with other individuals. This kind of information can not be used to identify individual contact information or track individual patterns. Fun-n-Fit is committed to the responsible use of information provided by our customers, users and visitors to our Web site. 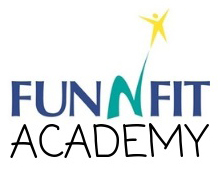 In general, anyone may visit www.fun-n-fit.com without telling us who they are or revealing any personal information. There are occasions, however, when we do need to obtain information from our visitors. For example, we track the total number of visitors to our site on an anonymous aggregate basis. In no way do we associate this aggregate data with personal information. When Fun-n-Fit receives information about your visit or about you, we may use it for research or to improve our Web site and the services we offer. We may also use it to continue contact with you via e-mail or other means (to send you new information or notification of special offers). If you do not wish to receive this information, please let us know by sending a message to soconnell@clubsatrivercity.com. Any and all information furnished to Fun-n-Fit by you is for our internal use only. It is not sold to any third parties. www.Fun-n-Fit.com is committed to protecting the private information of children and we comply with the Children’s Online Privacy Protection Act (COPPA)).